Architect designed classic courtyard inspired facade with the fresh and well appointed interior finishes that reflect the desires of today's buyer characterize this home. The charming gated courtyard with flowering pots and room for gathering and seating invites one to enter this handsome residence. 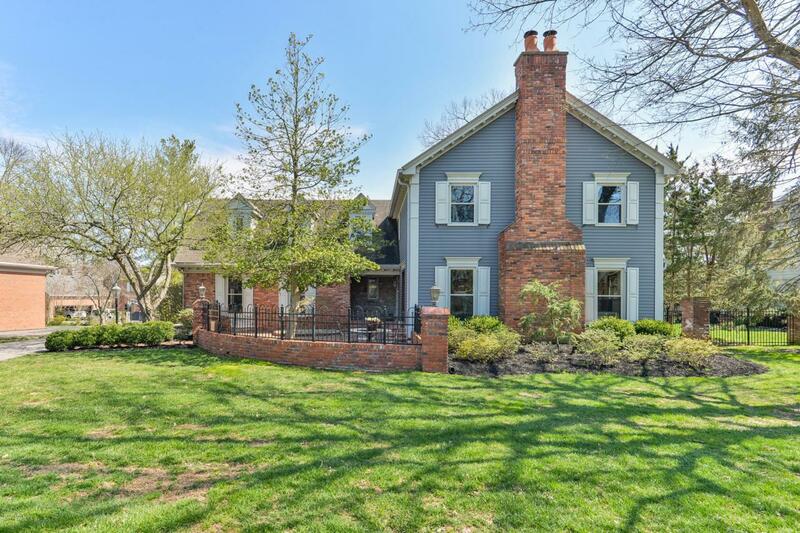 Located in Locust Hill , just 10 minutes to downtown Louisville and convenient to many of our city's other amenities this one is a find to be sure! Gleaming hardwood floors, grand dining room with fireplace and massive updated gourmet kitchen with high end cabinetry, granite countertops , breakfast bar and window seat will certainly please. A large den with builtin bookcases flanking the fireplace and served by a convenient wet bar serving /utility area, charming powder room and fabulousscreened in porch are also on the main level. Upstairs is the private living quarters which has 4 bedrooms. The colossal Master Suite seems to go on for days! New carpet throughout the suite gives it a fresh look combined with the classic touches of built ins and fireplace. There are rooms smaller than either of the walk in closets in this Master. The spa-like Master Bath is equally impressive. Three additional bedrooms, one with ensuite bath and a full bath in the hallway serves the other two spacious bedrooms. The lower level as an entertaining kitchen/bar which is open to a billiards/recreation room, a full bath, 5th bedroom, workout room and utility storage area. All in a delightful setting with a level yard and great location.